U.S. Civil War re-enactors plan to set up an encampment in Andrews this weekend, sharing stories of soldiers from New Brunswick who fought, many of them for the South. 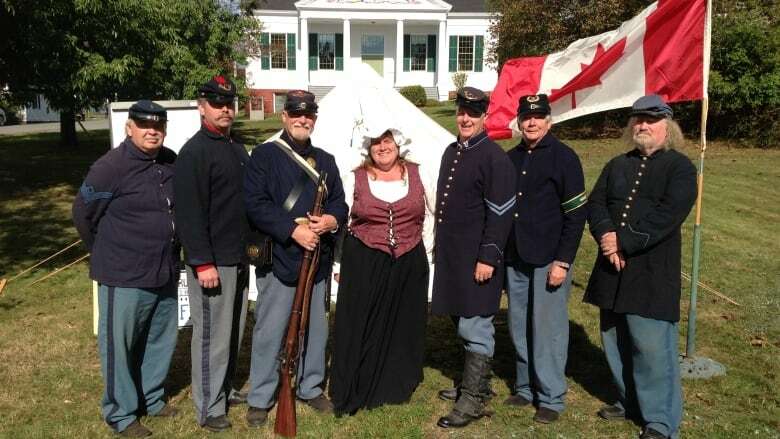 Saint Andrews will be occupied by Union soldiers this weekend. U.S. Civil War re-enactors are setting up an encampment in the commons at the Charlotte County courthouse. "We'll be interacting with the public and teaching them a little bit about New Brunswick history that they didn't know," said Larry Burden, president of Company I of the 20th Maine Volunteer Infantry Regiment. Company I is a group of about 25 history buffs from the Saint John area, Sussex, P.E.I. and Halifax. Burden got involved a couple of years ago. The retired military veteran said he has PTSD and forced himself out of the house one day to watch the St. Patrick's Day Parade in Saint Andrews. "I met the guys and asked them why these Americans were in our little parade. … They told me that they were all Canadians." Burden was intrigued and inspired by the work the group was doing to honour Civil War veterans. 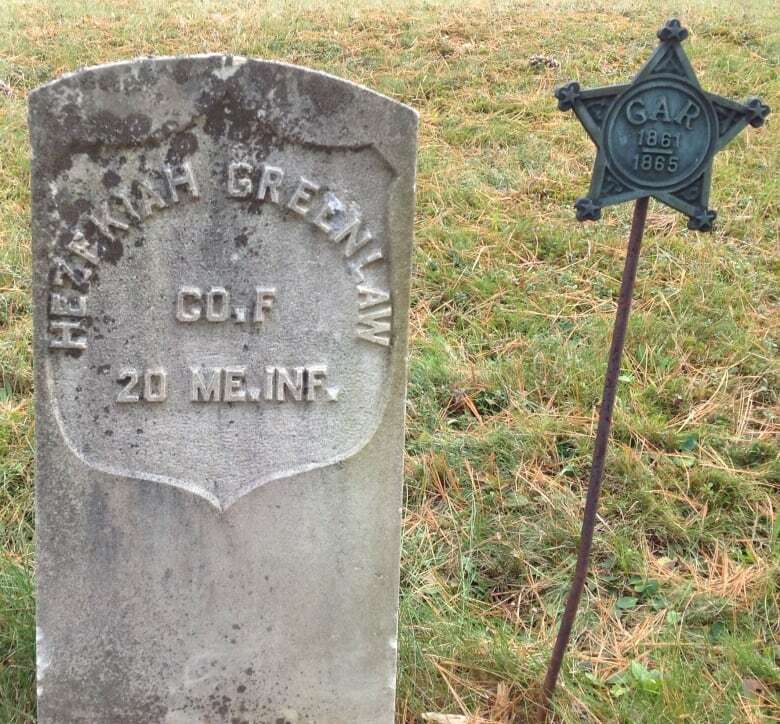 Members have located the graves of nearly 100 soldiers who fought in the Civil War and are buried in the Maritimes. "We try to work with the community and if there's any family left ... we'll go to that community and we will conduct a Civil War military graveside service and place a Civil War marker on the grave. "In cases where there is no grave marker, we'll appeal to the United States Department of Veterans' Affairs and have them provide a grave marker." Burden said they know of 730 former Civil War soldiers from the Maritimes, who are buried all over the world. That includes a man from Woodstock, named George Fairweather, who was buried in a pauper's grave in Australia, until historians found out about him, he said. In total, Burden said, his group has found evidence that more than 1,300 New Brunswickers were involved in the war, many of them fighting for the Confederate side, not the Union. "Everybody assumes that Atlantic Canadians served only for the Union, but that's not the case," Burden said. He said port cities were pro-Confederate because a naval blockade during the war was hurting their business. "Saint John was unabashedly a Confederate bastion, along with Halifax, and places like that, whereas most of the inlanders fought for the Union," he said. Burden just got back from re-enacting the Battle of Gettysburg in Pennsylvania with about 6,000 other people. "If you're out on the field there, with 50 cannons going off and thousands of muskets firing, it's a pretty impressive situation," he said. The 20th Maine Regiment, with 55 Canadians in its ranks, played a key role at Gettysburg, holding off a Confederate attack at Little Round Top on the second day of the battle, Burden said. "The 20th Maine was at the very end of the line, and if they had fallen, then the Confederates would have been able to sweep through the gap and encircle the entire Union army and could have changed the course of the war." Gettysburg was the bloodiest battle of the Civil War, which continued for two more years afterward. The Confederates never attempted to invade the North again. 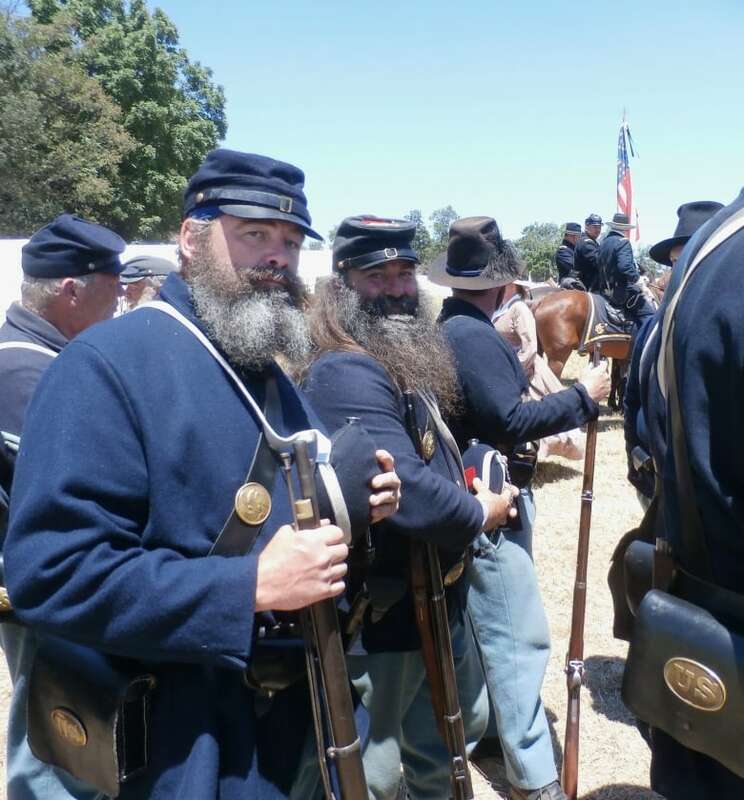 At the event in Saint Andrews on Saturday, Burden said the re-enactors will have a book containing the names of 340 former Civil War soldiers who were born in Charlotte Country, so visitors can see if their ancestors served. They'll also stage demonstrations of 19th-century military drills, cooking and field hospital amputation.